Manisnya Bisnis Kue Bebas Gluten ala Ade Sri, oleh Karmin Winata, Trubuspreneur. Featured on Tabloid Wanita Indonesia (1365 edition, 2016). 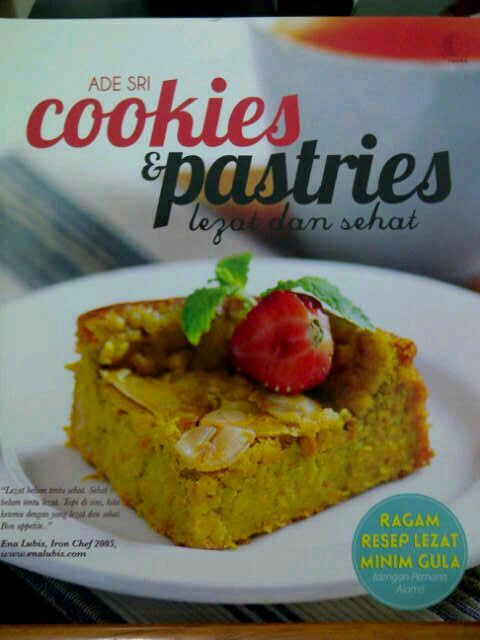 Launching first book Cookies & Pastries Lezat dan Sehat, published by Puspa Swara, Jakarta. Available at Gramedia, Gunung Agung, TBK Titan Fatmawati & Cikajang, etc. More info. First winner “Green Living” Blog Contest Tupperware Indonesia for ecoMOM writing, 15 August 2011. Food Blogger Pilihan Detikfood.com, June. Silver Blog Award from Internet Sehat Blog & Content Award (ISBA) 2010, period of June. Bronze Blog Award from Internet Sehat Blog & Content Award (ISBA) 2010, period of May. Aggregated by Goorme.com, Indonesia’s online showcase about culinary and anything related.